Oh how I love to make homemade gifts for babies. There must be a universal reaction that is triggered by the news a little one is on it’s way. 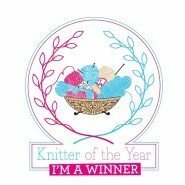 I know a fair few mums who rekindled their crafty skills when they discovered they were pregnant. Well my baby is now a strapping boy, but the knitting and crochet for babies has not abated. Some friends of mine were keenly expecting a gorgeous little girl and her little big brother had very sweetly named the growing bump ‘Strawberry’. Knowing that this baby was due in July I crammed my commission work in with a little bit of toy making for Strawberry. Suddenly I realised I had missed a trick… why didn’t I tie in my making with her nick name. The light bulb went on in my head and that my friends is when it all becomes a little bit dangerous, a little bit obsessive. I dug out some Debbie Bliss Cashmerino Yarn, which is my preferred yarn for baby projects and I stared to crochet. First came the strawberry booties. 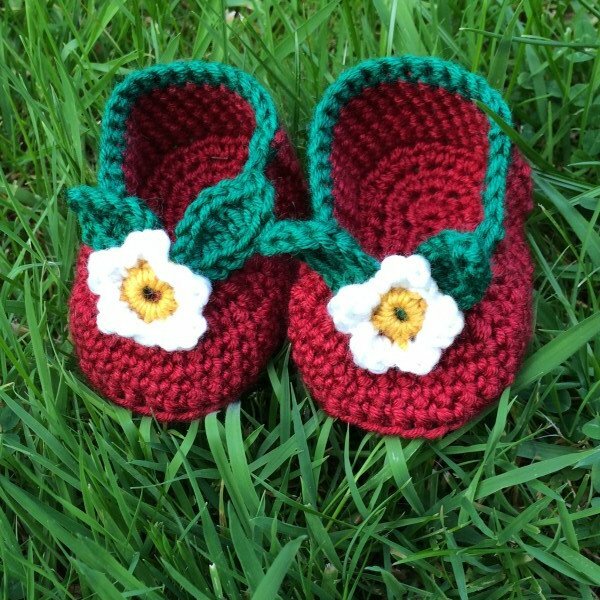 I used my ‘go-to’ pattern for bootie slippers and added a row of dark green for detail and some strawberry flowers. Next came the hat. 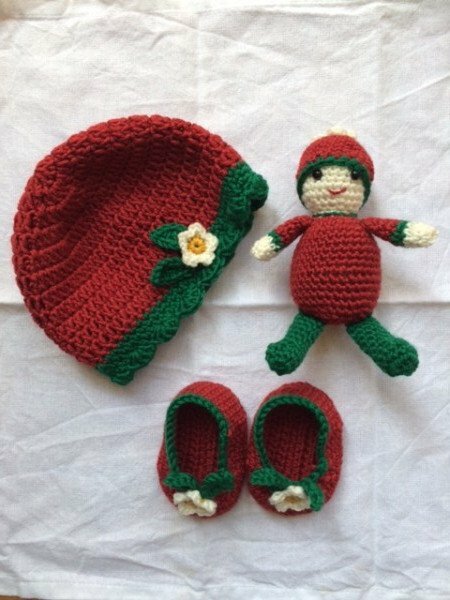 Here I used a pattern I created for Debbie Bliss and added the crochet flower to create a matching set. You can find the pattern if you would like to use create something similar here. You would think by now I had finished. By oh no…there was one more thing. 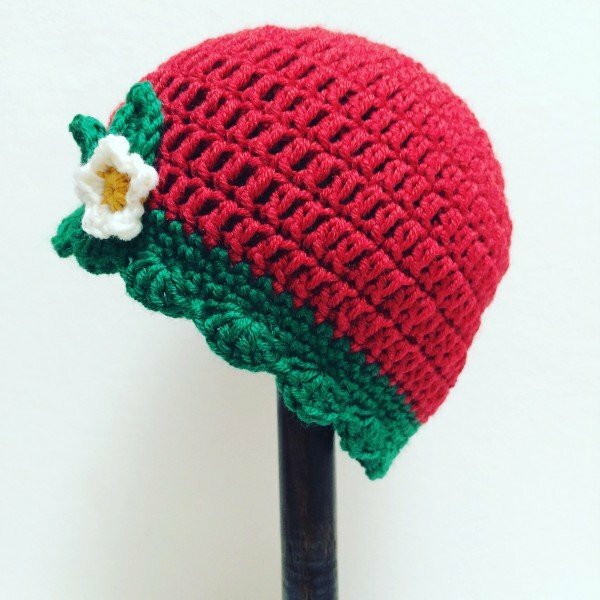 A baby strawberry needs a baby strawberry rattle. 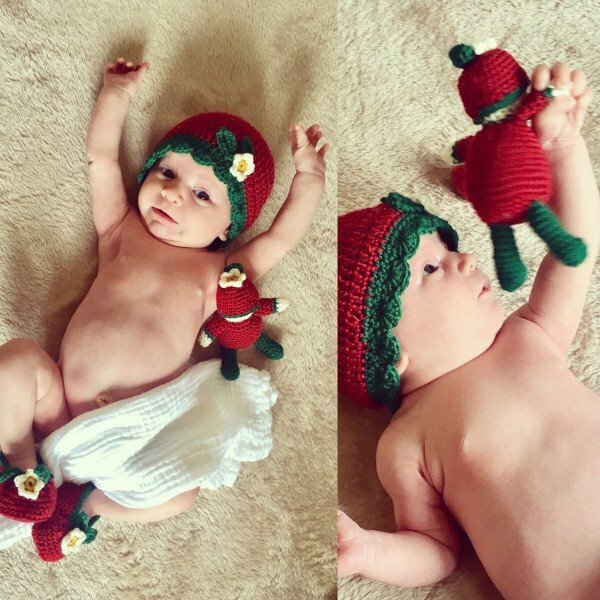 A little amigurumi strawberry baby who tinkles and rattles to amuse. I managed to make all three gift just using 1 ball of Baby Cashmerino in Ruby. So you might wonder, what was the verdict from little Baby Strawberry? Well I think she was suitably delighted. Isn’t she sweet? The best kind of making, making for love. Emma, this is so so beautiful that i can take my eyes off from it. This is definitely a perfect gift idea for my sister’s baby who will arrive in October.Thanks for sharing.